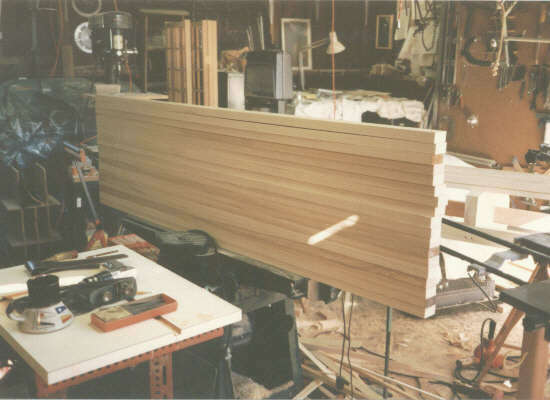 We begin by shaping the profile curve that the finished top and bottom of the cabinet are to have. This is done using a full size pattern. 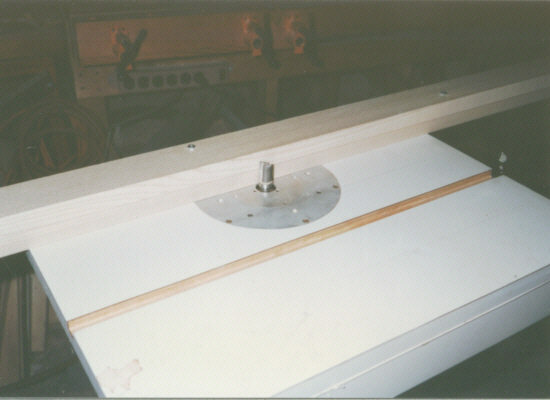 The pattern is attached to the blank piece to be cut. Then, using a duplicating bit, the piece is formed to exactly match the desired pattern. Here are a stack of shaped pieces. Next they need to be glued together.